The Artemi Panarin sweepstakes continue to heat up with just a couple of weeks to go before the NHL trade deadline. The list of teams linked to Panarin continues to expand: the Rangers, Kings, Panthers, Bruins, Maple Leafs, Islanders, Blues, Flyers, Penguins and Avalanche have all been linked to Panarin, but a familiar trade deadline player has emerged: the Predators. Nashville has kicked tires on most of the top players available, so this is no surprise. Some believe they could be a late frontrunner for Panarin, with word that Michael Ferland may now be sticking around in Carolina. The Preds have also taken long looks at Wayne Simmonds, Mats Zuccarello, Jeff Carter and Gustav Nyquist. 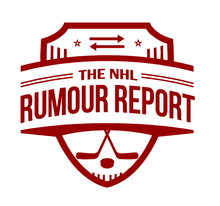 Another Leafs-Hurricanes rumour has cropped up suggesting something might still be cooking on the trade front despite the Leafs keeping William Nylander and trading for Jake Muzzin. The Leafs likely still covet Brett Pesce and Toronto didn't trade the pieces the Hurricanes were after: Kasperi Kapanen and Andreas Johnsson. But what about Connor Brown? A number of teams have asked Toronto about his availability, and he very much could get moved for the right price. Would Carolina accept a trade that includes Brown and other pieces? Add Minnesota to the mix for Kevin Hayes. The pending UFA Rangers centerman isn't a slam dunk to move at the deadline, but plenty of teams have expressed interest. The Avalanche, Bruins and Jets are other rumoured possibilities. Things continue to look pretty gloomy for Ottawa's chances of resigning either Mark Stone or Matt Duchene. I'd say we're less than a week away from really starting to hear the trade rumours - GM Pierre Dorion wanted about two weeks to drum up trade interest before the deadline. Plenty more on the Trade Rumour Board.